Kenneth Hite has designed, written, or co-authored more than 80 roleplaying games and supplements, including GURPS Horror and Call of Cthulhu d20. His most recent game books include the Trail Of Cthulhu and Night’s Black Agents RPGs from Pelgrane Press, a series of PDFs focusing on Lovecraft’s Hideous Creatures, and the Bookhounds of London, Qelong, Dracula Dossier, and Day After Ragnarok settings. Outside adventure gaming, his works includeTour de Lovecraft: the Tales, Cthulhu 101, The Nazi Occult for Osprey Publishing, and a series of Lovecraftian children’s books. 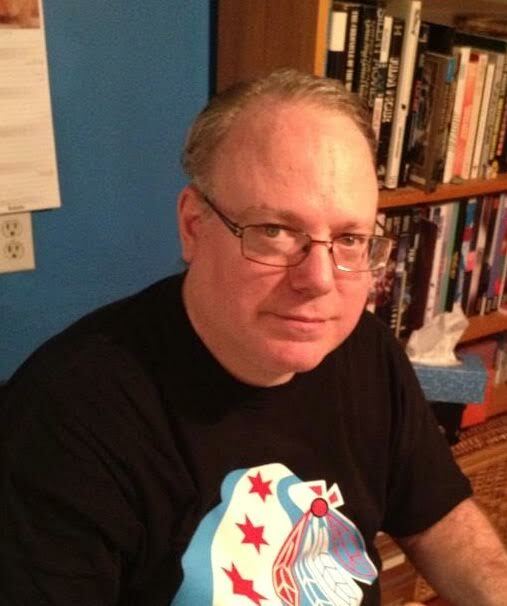 He has several published Cthulhu Mythos short stories, and writes the “Lost in Lovecraft” column for Weird Tales and a regular column for Sweden’s Fenix magazine.An Artistic Associate at Chicago’s WildClaw Theatre, he served as dramaturg for their recent stage production of The Shadow Over Innsmouth. Half the podcasting team behind Ken and Robin Talk About Stuff, he lives in Chicago with two Lovecraftian cats and his non-Lovecraftian wife, Sheila. Look for him on Facebook (facebook.com/kenneth.hite) and Twitter (@kennethhite).